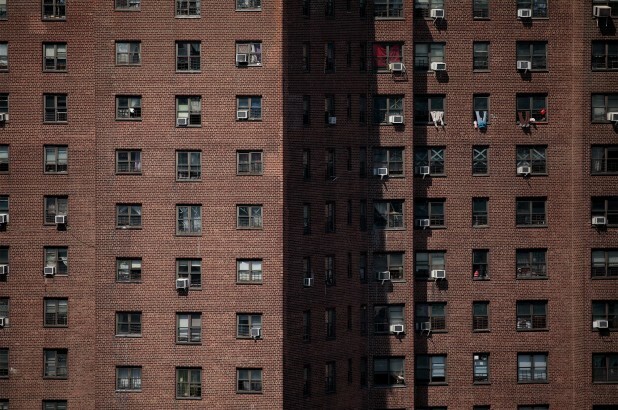 The federal government recently ordered New York City and New York State to invest four billion of your taxpayer dollars to fix the broken and disgraced New York City Housing Authority’s (NYCHA) lead problem. Doing so would be a colossal waste of money, prolonging an experiment that failed a long time ago. That’s because the problem is not just the lead; it’s the ACEs. The news coverage and political grandstanding around NYCHA has been exclusively about the neglect of the physical infrastructure that has exposed generations of children living in the projects to lead, mold and other chemicals. But no one is talking about the much larger problem: the adverse childhood experiences, commonly referred to as ACEs, to which NYCHA residents have been exposed, and which scientific evidence has found can cause irreversible harm over an individual’s lifetime — from developmental delays to involvement in criminal activity to early mortality. This combination of toxic conditions is the equivalent of giving the children in public housing a chemical-environmental-social lobotomy during the critical years of their brains’ development — compounding the deficits of being born into childhood poverty. As with any experiment that must be shut down because it is causing serious harm, the solution to the city and state’s NYCHA crisis is not investing billions of dollars but swinging a wrecking ball, just as Chicago did when it faced its own public housing crisis. NYCHA’s once-modern buildings were like gingerbread houses that offered children lost in fairytale forests the promise of home and hope — until they crossed the threshold, causing the buildings to reveal themselves as brick-and-mortar traps. There are no bars or gates on the windows or doors blocking residents’ exit, but escape is rare. This is true not because some enchanted-forest witch has cast a spell on the people living there, but because persistent exposure to brutal and degrading physical conditions and childhood trauma has crushed the capacity of generations of NYCHA residents to lift themselves up and out of the poverty of the projects. Yet it is not just NYCHA residents who have been damaged by these projects: Neighborhoods surrounding the projects have been devastated as well. According to data available on New York City’s own online databases, NYCHA is ground zero for a ripple of outcomes reinforcing the culture of poverty — intergenerational, concentrated childhood poverty; community wide developmental delays; and violent crime. The best example is the community of nearly 30,000 people trapped in the 11 NYCHA developments between the Harlem River and East 149th Street in the South Bronx. We understand the results of exposing children to lead and mold. We also know that NYCHA violated federal laws requiring testing for lead and cleaning it up. And we now know how city officials conspired to cover up these violations. Yet no studies have been ordered to understand the impact of the daily traumas children experience living in NYCHA projects. These adverse childhood experiences are incidents of child abuse, household dysfunction and neighborhood violence. Child abuse can include verbal aggression, as well as physical and sexual abuse. Household dysfunction includes having household members with alcohol- or substance-abuse problems or mental illness, having an incarcerated household member, witnessing domestic abuse, or having parents who are separated or divorced. Exposure to ACEs can have lasting negative effects on a person’s health and well-being. A score of four or higher on the 10-point ACEs scale could translate to developmental delays, involvement in criminal activity and/or a shorter lifespan. A Queens Tribune review of publicly available city databases found that if you live in one of the NYCHA projects in this neighborhood, your baseline ACEs score is likely to be four or higher. Starting with the worst kind of child abuse, this neighborhood has the highest child victimization rate in the city and the largest number of child abuse investigations, according to the Administration for Children’s Services. That’s one point. Moving on to household dysfunction, the city health department reports that this neighborhood has the second-highest number of alcohol-related hospitalizations and the fifth-highest number of drug-related hospitalizations. That’s another point. NYPD reports show that the NYCHA projects in the 40th Police Precinct had the highest number of domestic violence incidents in the city last year. That’s three points. And according to NYCHA, 60 percent of the families in these projects are led by a single parent. And that’s four points. Finally, there’s neighborhood violence. The 40th Police Precinct has the highest violent crime rate in New York City. As last year’s New York Times yearlong series, “Murder in the 4–0,” reported, most of that crime is centered in these housing projects. This brings the basic ACEs score of someone born and raised in one of these NYCHA projects to five. And that wasn’t even a particularly deep dive into the data. Knowing that these NYCHA residents have a five or higher ACEs score, the larger community problems in the South Bronx make a lot of sense. Clearly, it’s not simply the generations of the most-concentrated poverty in the nation. The first evidence of community wide developmental delays that are a direct consequence of living in these projects can be found in Bronx Community School District Number Seven. It is the lowest-performing school district in New York City, with 82 percent of the students testing below or well below grade level. No matter how much training teachers receive in this district, by the time a child in the projects first gets to them in universal pre-kindergarten, he/she has been subjected to major physical-chemical-psychosocial traumas that have limited brain development. Another obvious community wide symptom of these traumas is health. According to the national County Health Rankings and Roadmaps, the Bronx is the unhealthiest county in New York State, and this neighborhood is the unhealthiest neighborhood in the Bronx. Then, again, there is the violent crime. This truly is a vicious cycle: Exposure to domestic violence and neighborhood violence as children creates a scenario where involvement in crime is likely as an adult. This was never the plan for NYCHA. These projects were built in the mid-1940s through 1960s to replace the most dilapidated housing in the poorest section of the city. There are definitely success stories within NYCHA, some of them in Queens, where the housing projects are surrounded by thriving urban environments like the Astoria Houses or the James A. Bland Houses in Flushing. But these are few and far between. NYCHA was supposed to be a solution to slow down one of the fastest-growing rates of poverty and crime in New York City, discovered by social workers in the mayor’s office, in the middle of the last century. Now it has become one of the most persistent sources for intergenerational poverty and violent crime in the United States. And while the victims of this failed 70-year-old social-engineering experiment in the Bronx are two and a half times the number of inmates on Rikers Island, there is no movement afoot to end this ignominy, as there is to shut down Rikers. But there is a solution. It’s been there from the very beginning. Robert Moses said that it would be a mistake to dedicate public housing exclusively to the poor. And he was right. The solution to this crisis is to use those billions of dollars in city and state taxpayer money to bulldoze most of the NYCHA projects and replace them with mixed-income affordable housing that would be financially self-sustainable. This new housing would be built and managed by private developers — because among the many lessons to be learned from the failures of NYCHA, principal among them is that government bureaucrats have no capacity to do this job. More importantly, this would be a big step towards breaking up some of the huge blocks of concentrated childhood poverty around the city that are strangling the regional economy. Eddie Borges is a veteran journalist and a regular columnist for the Queens Tribune.